May is going to bring some peace and reprieve to this busy “2” global year. This month all of us will experience some sense of peace, even if it is fleeting…and all of us will seek to create more peace in our lives. May it’s because we have had such harsh weather patterns all across the globe or maybe we are sick and tired of fighting, arguing, seeing negative in the world… or maybe, just maybe, we are waking up the collective shared consciousness that is seeking inner and outer peace… and understanding that WE create this, We have always had the power to create this and now, we are going to take active, conscious measures to create this. I am going with the latter. It can be a little peace or a lot. It can come as a momentary Divine intervention or it can be something we cultivate… whatever way it comes, we will ALL experience peace this month. May 2018– is a time to ponder… “Do I have inner peace–Mentally? Emotionally? Physically- do I feel peace in my body and with my body? Do I have peace with my life circumstances? Do I have peace with all areas of my past? My future? What or Who pulls me out of my peace? When is it easiest for me to lose my peace?I know when one or more of my kids are out of sorts I am mentally and emotionally out of my peace and I know when I eat cilantro- which I seem to be allergic to-my body is out of its peace. How do I hold my peace? How CAN I hold my peace? What blocks if any do I hold that prevent me from experiencing a truly peace filled life in every area of my life, in every moment of every day? How can I bring peace to this world and not have this world or life in general take my peace away?” These are the thoughts to ponder during this 5th month of 2018. Perhaps these thoughts pass randomly through your mind while you are driving or walking, or maybe you can plug them in when you are cleaning your yard or home- like asking the google. You can also use the dream space as we often discuss in my DREAM CLASS PRESENTATION— simply program in right before sleep state one or more of these questions and ask to be shown- ask for clarity- ask for the answer. To quote Thomas Edison who was a great conscious lucid dreamer as well as inventor- “Never go to sleep without a request to your subconscious”… He is my new favorite…move over Joseph Campbell. Remember too, you are most receptive just before going to sleep and right when you are waking up– this is when you are in the alpha/theta brain state that is super receptive and fertile to suggestion so make it positive suggestion. May is going to have its moments of peace…. when you find yourself there, stop, make a note of it, graciously thank the Universe and plug in..”I will have more of these experiences now” and allow your Spirit, Divine Spirit, the whole of the Universe to show up and give you more opportunities to manifest, attract and create experiences and situations that mirror peace to you. Expand the peace in your life and ultimately in this world. Remember what we focus on expands so CHOOSE wisely. May is also a month to get out and have FUN!!! Relax and do something enjoyable. Nothing renews our batteries and charges our sense of well being like doing something we enjoy and which brings us joy. 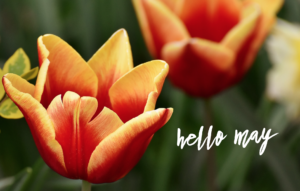 Sleep late, have coffee on the deck, garden,swim, hike, fish, go to the movies or dinner, visit a museum, lighthouse or beach.. whatever floats your boat, do it this month. Pleasure is of the body and joy is of the spirit– do things that bring you both pleasure and joy. This will grow your sense of inner peace faster than anything. This card speaks about turning over your worries, cares, concerns and impossible situations to the Angels. It also speaks of deepening you understanding of the Angels that surround you and work on your behalf whether you know it, or know them or not. It is also about using this card to jump start and/or expand your personal and spiritual growth and development.. Also if you have been called to explore you own healing capabilities- this card is confirmation you are being called. Saints and Angels Oracle Cards– Doreen Virtue–VISION– THE GUARDIAN ANGELS–This message is about honoring your vision. It asks you to trust the mental images that you’ve been receiving, as they’re answers to your prayers. Your prophetic visions will bring blessings to you and your loved ones. You will know they are Heaven inspired because of their loving nature. Only follow the messages that ask you to act on behalf of God’s love. This card speaks about clairvoyantly seeing in your inner mind a vision and then honoring that vision. Sometimes it is hard to know what is a vision and what is our own mind conjuring a thought/vision. Mind training and self awareness, help us to distinguish what is a self generated thought or when we are receiving a vision. Meditation practices, self awareness practices and understanding our dream and brain states help with this…… AND also, put our minds in peace!! I will discuss these cards and their messages more fully in the Online Webinar Meeting on May 7th- 7pm. We will also do a nice meditation to connect with Mother Mary and her legion of Angels. If you would like to join me you will need to become a subscriber and for $30 a month it is well worth it to meet with this wonderful spiritual community on a regular basis without ever having to leave your home. Also there are a lot of FREE Library Dream Classes coming up–stop by when one is in your area and learn how to use your dream state to get answers, clarity….PEACE. I will be in San Diego this month visiting libraries too— if you are around there, stop by. Just when I need my Ro infusion, your energy alert pops into my email. Thank you for sharing your insights and for having an online community that can keep me plugged in!